It’s been a little while. I have gotten a few images, but I think they all require more data before I consider them done. Here is a new one that I captured with a new to me telescope. I found a great deal on a used 8 inch RC (Ritchey-Chretien) telescope. What is an RC? Well in short, it is a type of reflecting telescope that is mostly used for astrophotography. Many large observatories use this design, including the Hubble Space Telescope. I had been wanting to get a longer focal length telescope to get more resolution and capture smaller objects. 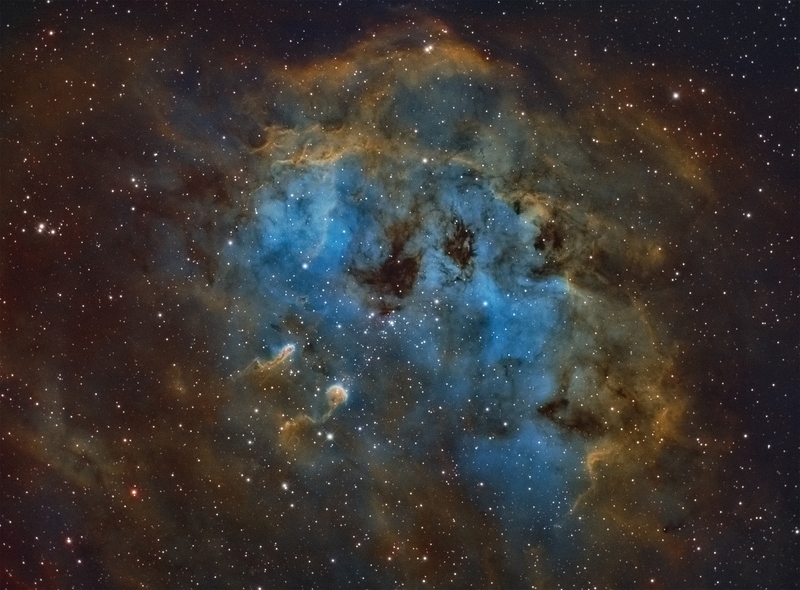 Here is an SHO mix (Hubble Palette) of IC 410 and the Tadpoles. A total of 16 hours of data makes up this image. I was also using a CGE Pro in place of my normal CGEM DX. I have since replaced both mounts which I will write about later. All in all, this was a great first light with the scope. I was pleasantly surprised on the resolution I was able to get.